Our Russian t-shirts offer unique statements. All of them are connected with the Russian history and culture in various ways. Our experience shows that t-shirt designs often evoke questions from people around, so we suggest a quick overview of the symbols that the t-shirt designs show with their brief explanations. We would like you to know what exactly you wear and be ready to inform any inquisitive you meet. 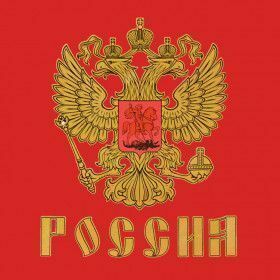 "СССР" is an abbreviation for the Union of Soviet Socialist Republics (USSR), which was also called the Soviet Union. СССР existed from 1922 to 1991. The Socialist Party (called Bolsheviks in Russia) led by Vladimir Lenin overthrew the monarchy in 1917 and established the highly centralized State governed by the Communist Party. It was a Union of 15 Socialist Republics with the center in Moscow and Russia having been the dominant. The Soviet Union dissolution was declared in December 1991. Mikhail Gorbachev was the first and the only President of the USSR. 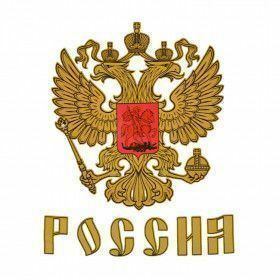 State Emblem of the Soviet Union does not follow the traditional heraldic rules and that is why is called an emblem though the Russians would use the word gerb which means "coat of arms" in Russian. There were four versions slightly different one from another with the first one adopted in 1923 and the last one used until the dissolution of the USSR in 1991. The main symbols of the emblem are hammer and sickle on a globe meaning worker-peasant alliance depicted in the rays of the sun. The wreath of wheat ears representing the peasantry in Soviet society has the inscriptions: "The Workers of The World, Unite!" the communist political slogan written in 15 languages of the 15 Republics of the Soviet Union. A red five-pointed star on top is often a symbol of Red Army and military service. 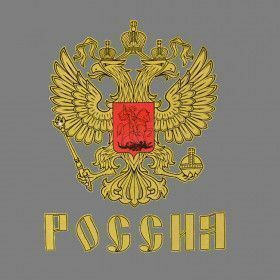 Coat of Arms of Russia has been used since 1993 and is based on the Russia Empire's coat of arms that can be traced back for its mediaeval origin to the reign of Tsar Ivan III (1462-1505). The two-headed eagle was a Byzantine symbol of power and dominion adopted by Russian Tsar to claim the Roman Imperial heritage. As well as orb and scepter that the eagle holds in its claws are the signs of autocracy and sovereign power. The three crowns symbolic meaning varied through the time and is viewed as the three parts of the present government of Russia: executive, legislative and judiciary. The horse rider on the central shield represents St. George the Victorious killing the dragon with his spear. He is the patron saint of Moscow and all Russia. Russian Flag is a tricolor one. The idea and the colors were adopted by Tsar Peter the Great from the flag of the Netherlands with the same colors arranged differently. The colors have varying interpretations of their meaning none of them are the official. The most popular explanation states: white is the symbol of generosity and nobility, blue – loyalty, and red stands for courage and love. There is Standard of the President of Russian Federation flag which is a square version of tricolor with the coat of arms without the red shield placed in the middle of the flag. KGB is one of the top popular acronyms in the world stands for the Committee of State Security which was the main security agency in the Soviet Union from 1954 until 1991. Its function was protecting the USSR from both external as well as internal threats and it gained the reputation of one of the most effective intelligence services in the world. Vladimir Putin was a KGB officer in Soviet times. Matryoshka doll or Russian nesting dolls may have 3 up to 30 dolls in a set. The idea of nesting dolls originated in Japan and was brought to Russia having become very popular since 1890 when Russian craftsmen started designing and shipping them around the world. Usually each set is made in one theme and traditional version shows the peasant girls in national costumes. The word matryoshka means "little matron" and is a diminutive of a Russian female name "Matryona." Yury Gagarin is the first man launched into orbit of the Earth and thus introduced the era of space exploration. On April 12, 1961 he made a single orbit around the Earth on board of Vostok 1 spacecraft which took him an hour and 48 minutes to show that humans can survive in space. His first and therefore legendary report to the ground control center on seeing the Earth from the spaceship was: "The Earth is blue. How wonderful. It is amazing." Valery Kharlamov is a famous Soviet ice-hockey offensive player whose nickname was The Red Machine. He played for CSKA Moscow from 1967 until his death in a car accident in 1981. Small in stature, he was both skilled and very creative, intelligent on ice and speedy. "I like to score great goals" was his saying. He is considered one of the best players of his era and one of the best players of all time. Mikhail Kalashnikov is the designer of the well-known assault rifle AK-47 that was named after its constructor. It is often called a Wonder Weapon (or The Perfect Weapon as our T-shirt design states) even though it is far from being ideal but had no equal in its lifetime. It has been standard Russian military weapon due to its characteristics: it is cheap in production, reliable in the battle field and easy to use. Saint Basil's Cathedral is the most recognized and photographed sight of Russia is officially named the Cathedral of the Intercession of the Most Holy Theotokos on the Moat. The Cathedral was built as a symbol of the Heavenly Jerusalem and it actually has nine churches built and connected one with another with one of them placed over the grave of a Russian Orthodox saint Vassily (Basil) also called Blazhenny (= Blessed) or "The Holy Blessed Basil". The local saint lived on the Red Square itself and went barefoot regardless of the weather and almost naked. He chained himself and is believed to have had a gift of clairvoyance.